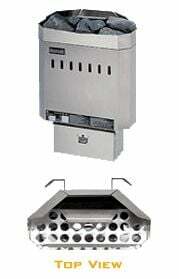 Our electric sauna heaters are manufactured in North Amercia! We use Special Surgical Stainless Steel both inside and outside to deliver long-term satisfaction to our customers, (no pre-painted steel used here!). Did you know different grades of sauna heating elements are offered by different manufacturers? We use only the very best elements. More expensive? Yes, slightly, but the benefits are worth it. This is why all our sauna heaters carry a lifetime warranty! 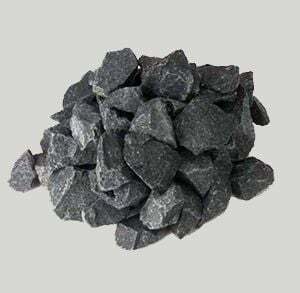 Our electric sauna heaters are shipped with special sauna rocks that are designed to store the heat. Their large surface area, provides very quick recovery while generating maximum steam. 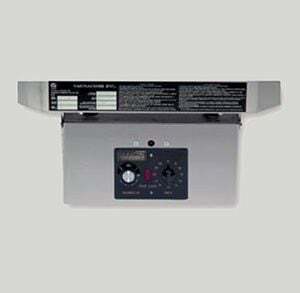 All our sauna heaters come standard with built in heat controller and timer. This is especially popular as bathers can set the temperature in the sauna without leaving. It also makes installation quicker. We also offer an optional state of the art digital LED display controllers for more precise temperature and time settings. 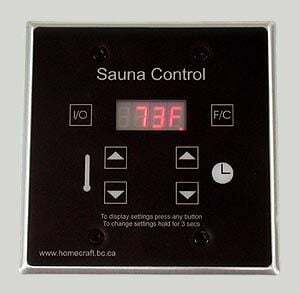 This low voltage digital control is all electronic, a significant advance in "state of the art" sauna accuracy and convenience. This control runs silently, with tremendous accuracy and reliability. easy conversion from Fahrenheit to Celsius temperature readouts. silent operation, no noise from a mechanical spring-wound timer.